Successfully Added Peephole Camera - 2.4-Inch Display, 1MP CMOS, 160-Degree Angle, Night Vision, IR Cut, 3 Usage Modes, SD Card, Motion Detection to your Shopping Cart. 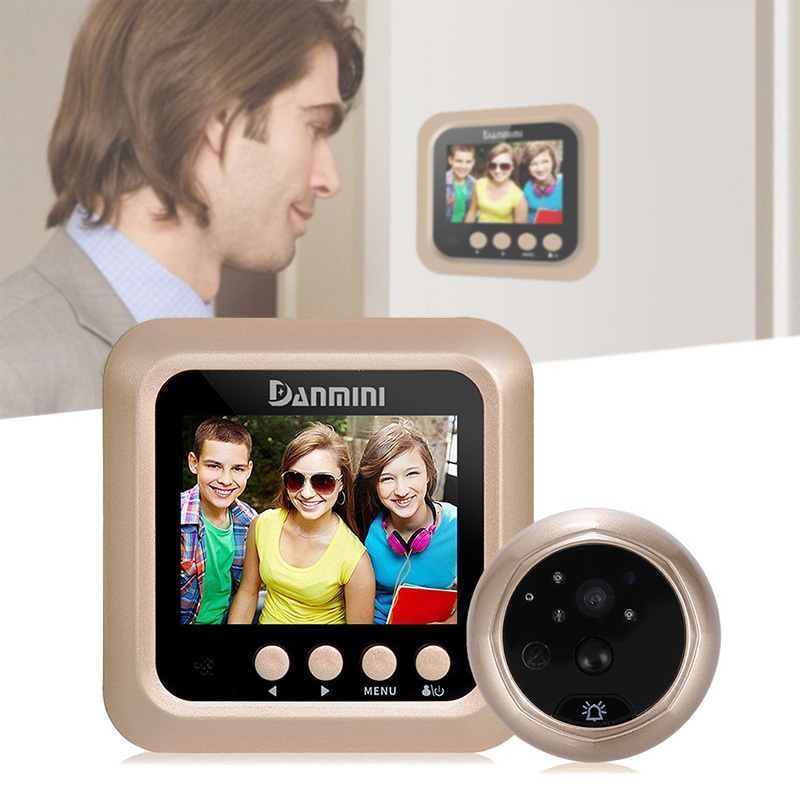 Never be surprised by unwanted visitors again with this state of the art peephole camera. This video door phone allows you to easily check on who is standing in front of your entrance without you needing to physically open your door. Not only does this bring along great convenience, it also significantly increases your safety. From now on, you’ll always be aware of who’s ringing your bell. On the 2.4-Inch display, you’ll be able to enjoy crisp and detailed pictures and video. This allows you to easily recognize whoever is standing is standing in front of your entrance. This video door phone automatically snaps a picture or video whenever the doorbell is being rung. Naturally, it also allows you to enjoy live-view when you’re at home. Additionally, it also allows you to manually snap a picture or video. Pictures and video are being stored on the camera’s 32GB SD card. This allows you to check on who has visited your home while you were not around. With its 3 different usage modes and 3 different ringtones, this video doorbell is sure to meet your demands. With its 3 IR LED lights and super night vision focus, this peephole camera treats you to clear images at both day and night. It features IR Cut technology, meaning it automatically switches to night vision recording whenever the natural light is low. The camera itself features a full metal body. It comes with a 1.4-Inch 1MP CMOS sensor and 160-degree lens. With its sleek design, this video door bell has been designed to fit any door with a 35mm to 110mm thickness and peepholes with a thickness of 14mm to 50mm. This peephole camera comes with a 12 months warranty, brought to you by the leader in electronic devices as well as wholesale electronic gadgets..
Support USB and mobile power supply.